OYSTER PERPETUAL 39 THE OYSTER PERPETUAL e incarnation of the original Oyster launched in 1926 is a distinctive symbol of universal style. It doesn't just tell time. It tells history. 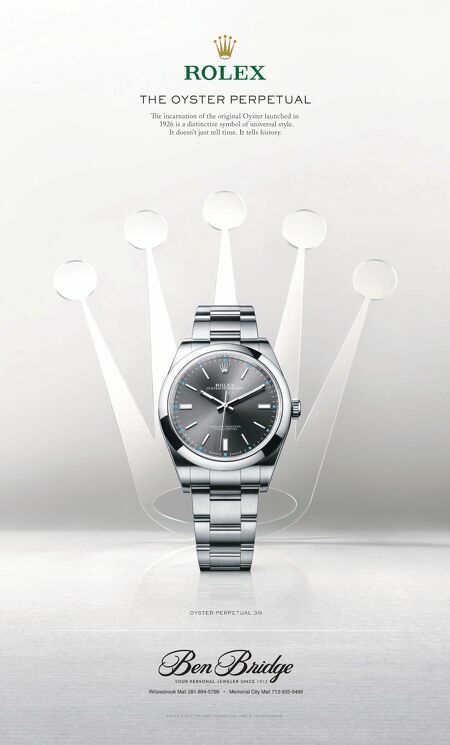 rolex oyster and perpetual are ® trademarks.